Swiss retailer Coop has installed four LP balers in its new distribution centre, supplied by recycling machinery manufacturer Presona. The machines will process deliveries of over 100 tonnes of recycled material per day from its reverse logistics operation. This includes PET-bottles, plastic film, plastic packaging, wooden pallets, cardboard and organic waste. 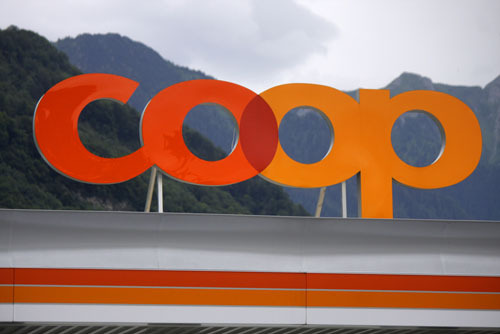 Located in Schafisheim, Switzerland, the centre will also process packaging and waste from all COOP stores in the area. The material from both sources will be sorted and compacted into bales for recycling or supply to waste-to-energy facilities. 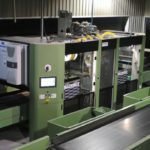 The baling system in the LP Series comprises one LP 85 VH unit, three LP 60 VH units and a conveyor system. Designed by Hunkeler Systeme AG, Presona’s distributor in Switzerland, it can process more than 100 tonnes of material per day. Cardboard, plastic packaging and PET-bottles are tipped onto the conveyor system, which measures more than 100m in length, from 32 picking stations. The material is then fed into the four Presona balers. The LP 85 VH exerts 85 tonnes of forces on the material, while the three LP 60 VH units each have a press force of 60 tonnes. The systems has been designed to provide operator safety and the plant has been equipped with an automated personal safety system for maximum security for operating personnel. Hunkeler has also delivered an automated system to process the organic waste, residues and wood. 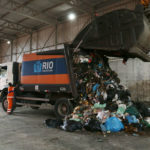 In a statement, Presona said that each baler was delivered to site and taken into the building through the loading bays where the trucks will dock for loading and unloading. To facilitate the process, the Hunkeler team used air cushions to ‘float’ the balers onto their foundations with a minimum of disturbance. The balers were operational in four days.